Beachcomber’s 300 series hot tubs offer models to fit most any budget. You are assured of the same top quality as the rest of the hot tubs we build. 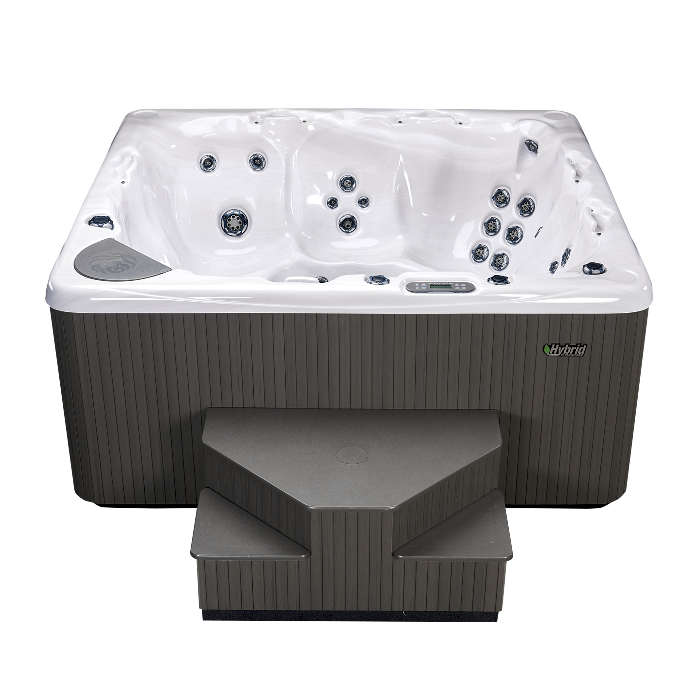 So when you buy a 300 series Beachcomber, you are still getting the finest hot tubs in the world, at an affordable price. The Beachcomber 500 series gives you some of the most popular hot tubs in the world to choose from. The sizes of these models are time proven. With a wide range of options, they range from a compact model for 1 or 2, to models that seat up to 8 or more. The spacious 700 series feature a wide variety of seating, reclining or semi recumbent positions, each with specific massage functions. A combination of twin massage pumps & numerous adjustable Waterports & jets offers you an ultimate Beachcomber experience. Renowned for design and quality, our own brand of BHL hot tubs are perfect for every lifestyle choice. Looking for a hot tub with quality at an affordable price? All our reconditioned hot tubs are serviced and engineered like new. Our selection changes monthly. Bring us a sample of your hot tub water for a FREE Computer Water Analysis. In-store Water Care 101 classes everyday! Our friendly staff will show you how to take care of your hot tub water. Everyone’s shape and lifestyle differ, which is why we offer so many Beachcomber Hot Tub models. You can choose from 3 different series with a configuration that will fit you and your family and enjoy the same high quality,exacting standards, experience and workmanship that go into every Beachcomber Hot Tub. The only difference between the series / models are the size, design & options. Watch all the work that goes into producing a Beachcomber Hot Tub. From forming the shell, to final delivery - you can see why this is one of the best hot tub names in the world! The 300 Series by Beachcomber Hot Tubs. Discover the difference of hand-crafted, Canadian-made construction. High-performance hydrotherapy meets enhanced style in our premium-mid range collection. The 500 Series By Beachcomber Hot Tubs.